Just as older people remember where they were when JFK was shot ... in the historic past, young 'traditional Canadians' since 1759 were generally taught - formally and informally - what they 'won' (anglophones) or 'lost' (francophones) forever at that symbolic instant in time. ... and my point would be ... the battle is well-documented, known well by Canadians, and I just want to look at the technology of armed conflict used back then. Except for a large number of Canadien militia who fought in formation with the French military on the Plains, and Canadiens and their First Nations allies who sensibly sniped from behind cover, this was a European-style battle choreographed by European commanders using European troops. 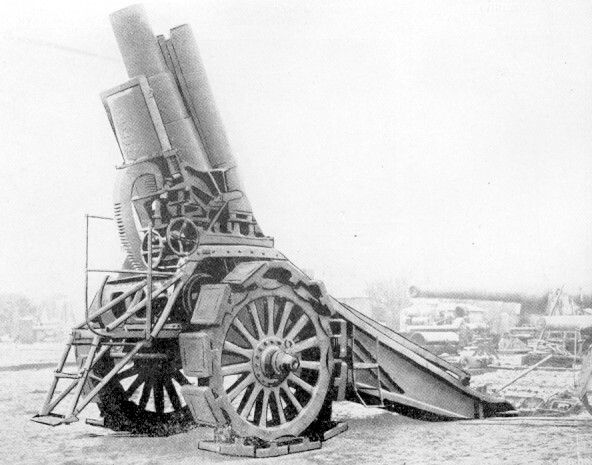 It contrasts nicely with the more modern European technology and strategy later used (below) in the Great War. On their tippy-toes, Wolfe and about 4500 British soldiers 'scaled the cliffs' just up-river from Quebec at night - technically, an amphibious landing made with the help of the Royal Navy. 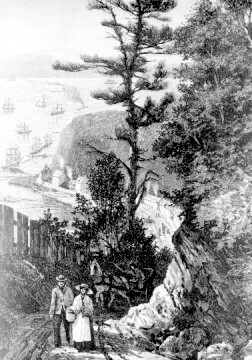 Wolfe's Cove is shown above in an illustration from around 1870. The view is looking up-river toward Montreal and the Plains of Abraham and the settlement of Quebec are behind us in this view. In hindsight ... if Montcalm had returned to the walls of Quebec, bolted the door, and just dialed 911 (i.e. the Chevalier de Levis and his army at Montreal) France wouldn't have had to scapegoat poor Governor Vaudreuil for 'losing the continent'. This is because this battle is happening in September, and pretty soon the British ships would have to leave for New England or get frozen in at Quebec ... with most of the British force dying - one way or the other. French coming in from the right. Around 1000hr, in a ragged formation, the French come forward. The Canadien militia was not into this disciplined European 'one fighting organism' thing - any sensible person would take cover ! 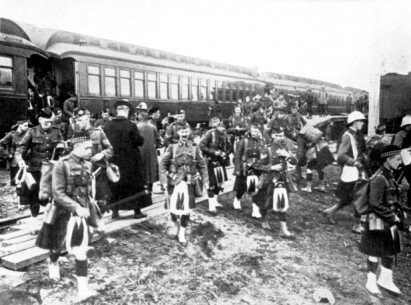 The 'foot cavalry', moving after the retreating French, is stopped in its tracks as the 'smart French' - Canadiens behind cover - along with First Nations fighters - ambush the advancing Highlanders and British from all directions. After inflicting some damage, they melt away. 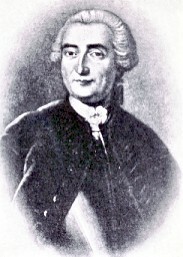 This engraving dates from 1797. While deemed to be inaccurate, it does lay out the local geography. From west to east .. 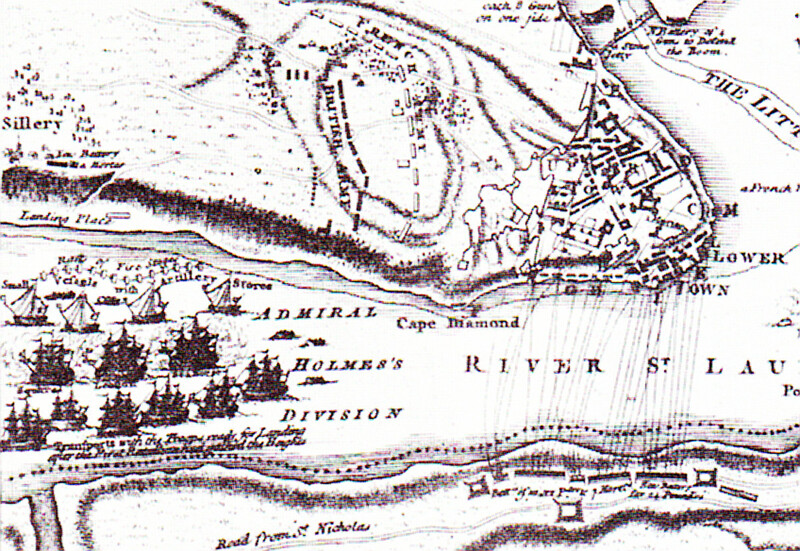 The 'landing place'; the Plains of Abraham meeting of armies; the town of Quebec. As you would expect, there were a few developments between that 1759 colonial battle involving professional European soldiers ... and the Great War. This made the latter a very different kind of military engagement. Governments and/or rulers, government bureaucracies, and industrialists ... had the new-found ability to focus complex national economies on a single project. In other words, they could create a 'Total War Economy'. From this came the cheerful conclusion that even civilians working in cities away from the battleground were legitimate targets for shells and bombs. Humans were making big progress ! Smokeless powder, 1850-1900 - more power, less smoke - for firearms, due to the chemical industry's advances. Smokeless powder fired when wet - no one would ever say 'keep your powder dry' again ! More ammunition could be carried because less powder was needed for firing ... new all-in-one metal ammunition cartridges could be smaller and lighter. 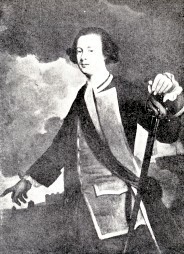 Barrel rifling and tight physical tolerances on small arms were also possible because the solid residue left by gunpowder was no longer a problem. This new-found gun barrel cleanliness maintained targeting accuracy and reliability during longer battles, and facilitated the use of automatic cartridge feeding/ejecting mechanisms. Beyond 40 yards (or metres), you couldn't really hope to hurt anybody. As you will see - unfortunately - ignoring these ideas: Soldiers would find themselves ordered to walk across open fields and through battlefield constrictions in full view of the enemy !! World War 1, French riflemen before trench warfare. 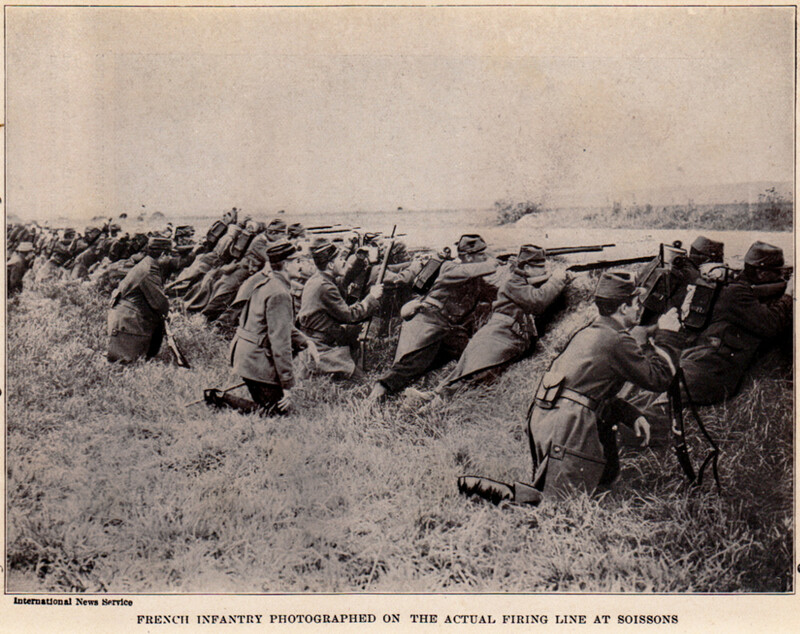 In 1914, the French soldiers above are using newer tactics. You can't see the enemy because their bolt action rifles shoot much farther.Unlike Montcalm's soldiers, they are taking cover. They are still bunched together and you can see a couple of officers behind them, keeping an eye on things. This doesn't look like World War 1, but it is. One dumb thing the French above were doing : wearing bright red trousers with their dark blue coats. At least it looked spiffy. You should have seen the Zouaves ! 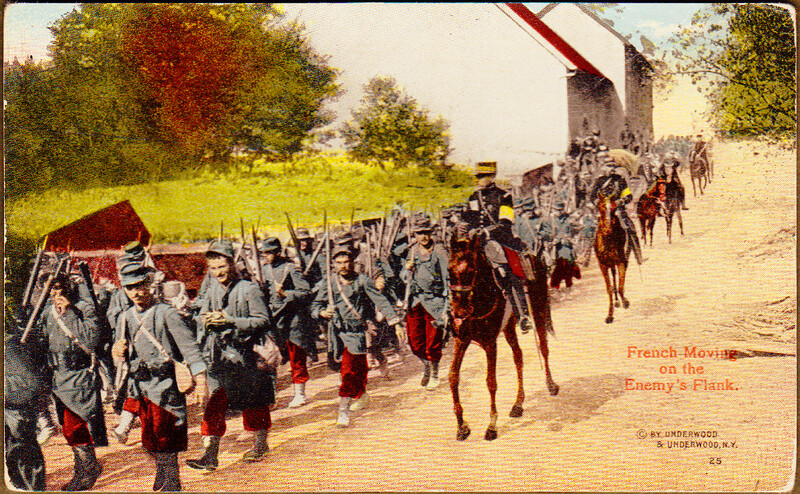 The French army had their colours done again and got into more subdued hues pretty quickly. This is a hand-coloured postcard, but you get the idea ..
World War 1: Cambrai battlefield - before trench warfare. 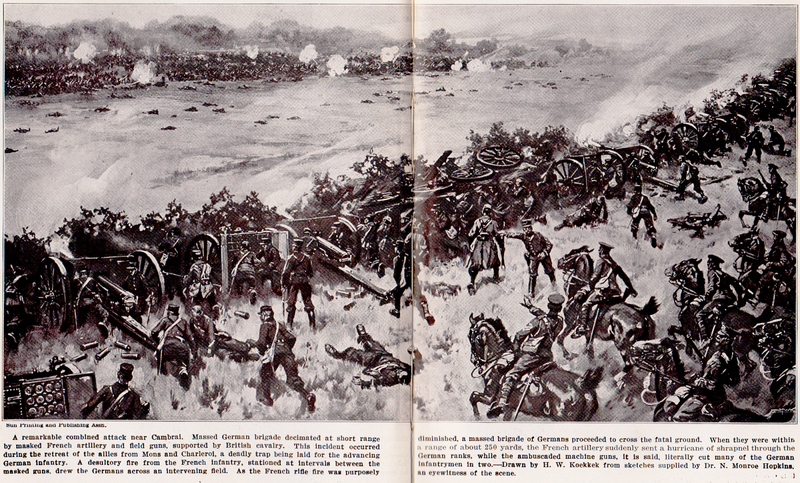 Below, in the graphically-muddy newspaper-type illustration, you can see a more traditional battle early in the war. 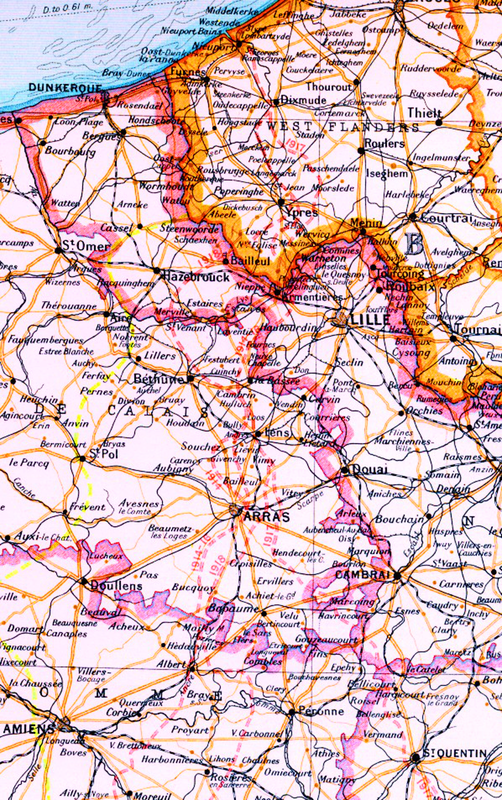 The Germans' invasion strategy for France was to swing counter-clockwise across Belgium toward France like a big door - Luxembourg was the 'hinge'. The man on the right side of the swinging German 'door' was supposed to 'brush his sleeve on the English Channel'. The Germans did not get that close to the Channel, and Dover-Calais remained a viable route for transporting troops and supplies from Britain - along with other English Channel ports. The British had an expeditionary force in western Belgium - to enforce Belgian neutrality and to help defend France from invasion. These English/German encounters in Belgium were the last great exhibitions of the fine marksmanship and concentrated fire, of professional British soldiers, using bolt action rifles. The tactics would be changing significantly as the war continued. As the Great War began, half the time the various armies were just trying to find each other in the forest, behind hills, etc. Howitzers - Napoleon or someone was fiddling around and found out that a shell fired at an upward angle of 45 degrees ... travels the farthest. Howitzers hit targets which might be behind hills or otherwise hidden from view. 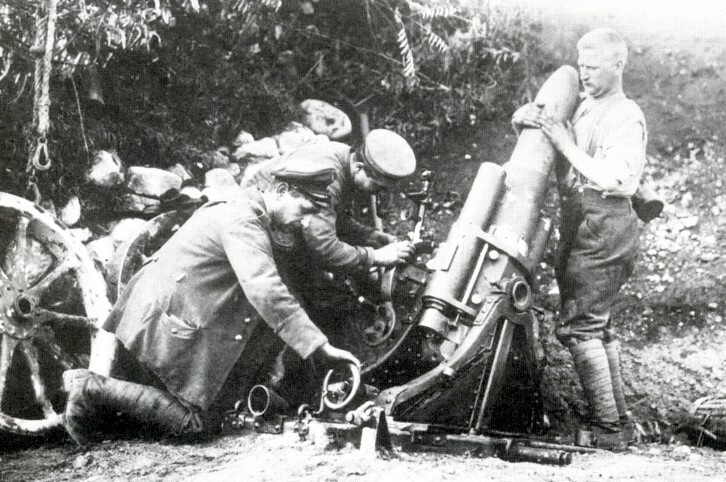 While the field guns above have front row seats, Great War howitzer crews usually didn't have to worry about hand grenades or machine gun or rifle bullets - because they enjoyed life far behind the lines. Well ... except when they were subject to pre-emptive 'counter battery work' by enemy howitzers. The thing about these 75 mm field guns was they were quick firing. A crew could fire off a shell every 2-3 seconds. .. Wow ... an 'aeroplane' ! How many soldiers have seen an airplane before - yet no one is looking up? HORSES! Lots of them ! And the war's voracious appetite for horses never really diminished in spite of new technologies. 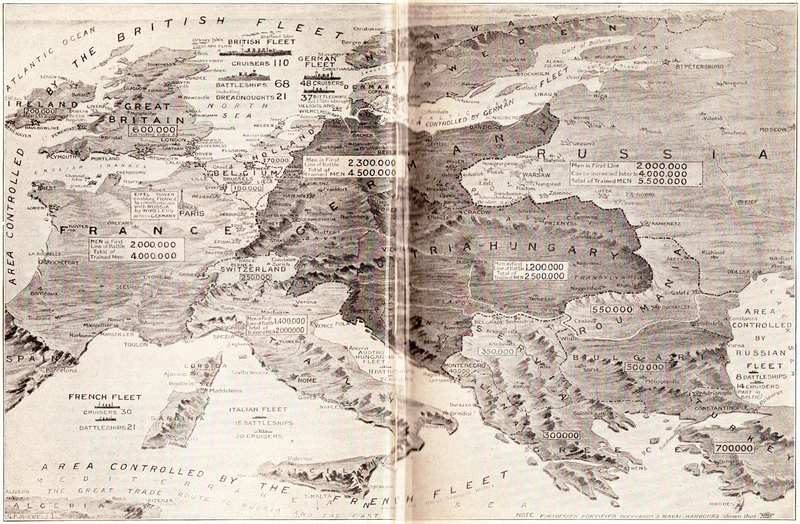 The 'Entente' ... Britain, France, (and sometimes Russia, USA) etc. had the reserve manufacturing capacity to make greater use of motorized transportation later. 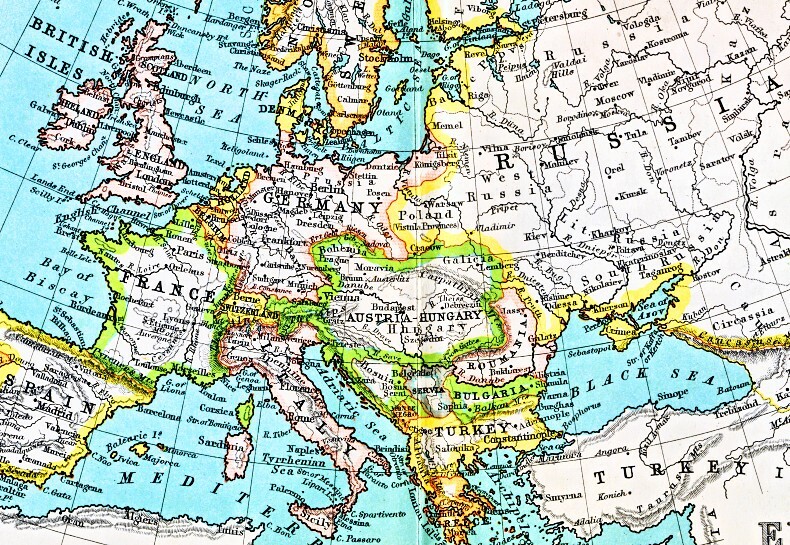 However, the 'Central Powers' ... Germany, Austria-Hungary, (and sometimes the Ottoman Empire) etc. and the many smaller theatres of war always took a terrible toll on horses and other draft animals, including dogs. As I continue to build the case for more efficient transportation systems for another page, notice the big haystack. Hay, oats, etc. were transported to the battlefield in great quantities to 'fuel' the horses. Some sources suggest the tonnage of ammunition, and the tonnage of fodder, hauled into the war zone ... were roughly equivalent. As you might expect, no one really planned things the way they turned out. In most cases, when one side used a new weapon or technique, the other side quickly adapted - unless their hard-headed military dogma initially slowed progress (oh, hello Britain!). The German military saw the benefits of the machine gun for their armed forces before the war and really stocked up on them ... and they had better artillery, too. Kitchener used the idea of 'Pals Battalions' (A battalion is about 1000 soldiers - a small, complete fighting unit.) The 'pals' were a group of sportsmen, or sometimes a group of similar occupation - most often they were from the same city or geographical area. Local social pressure acted to influence individuals to volunteer with their pals. On the battlefield, this resulted in the strong cohesion and loyalty desirable in military units. 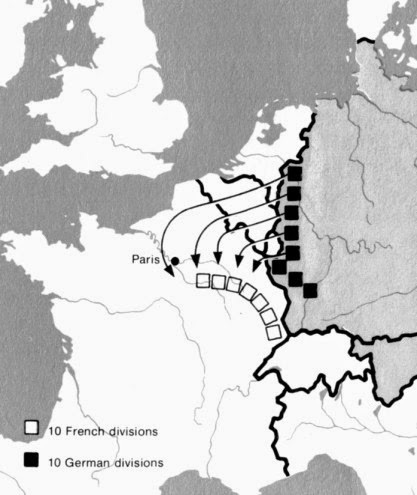 Generally, the French (and Belgians) expected the Germans to pop by for an invasion every few decades ... and had pre-invested heavily in forts and citizen soldiers ... Important point : they were fighting to defend their own lands and homes. Krupp siege mortars like the one above were used to crack open the stone and concrete forts of France and Belgium.This piece would probably have been pulled into position by a steam-powered traction engine - one of those early farm tractors. The longest barrel fired the shell. The cylinder on the right was typical of many guns and it was designed to absorb the force of the the recoil. This looks like a builder's photo at the Krupp yard. Generally ... all routine activity ... troop rotations, barbed wire placement in No Man's Land, and trench raids were conducted at night. It was too dangerous to be sighted by the enemy by daylight. The daytime was for 'sleeping'. World War 1 British wiring party with screw-in stakes. Besides their rifles, packs, picks, shovels, coils of wire, etc. 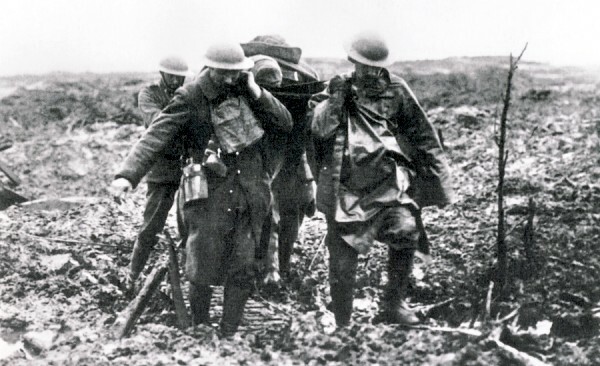 the soldiers are carrying an invention that saved many lives. Most activity - particularly placing barbed wire in No Man's Land - was done at night to avoid becoming a target. 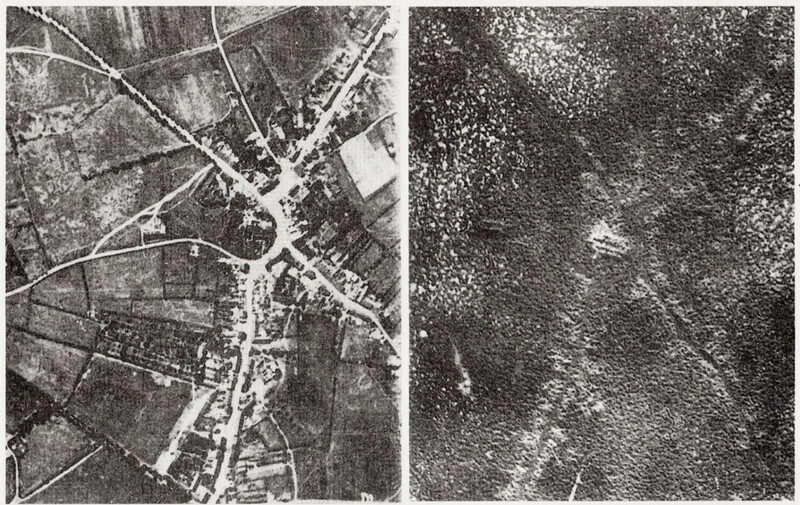 However, noise could invite enemy parachute flares which would turn night into day for those found in No Man's Land. The curly-bottomed fenceposts could be silently turned into the ground by inserting a bar through the 'eye' on top - thus avoiding the noise of trying to drive posts in with sledge hammers ... and a sniper's bullet. 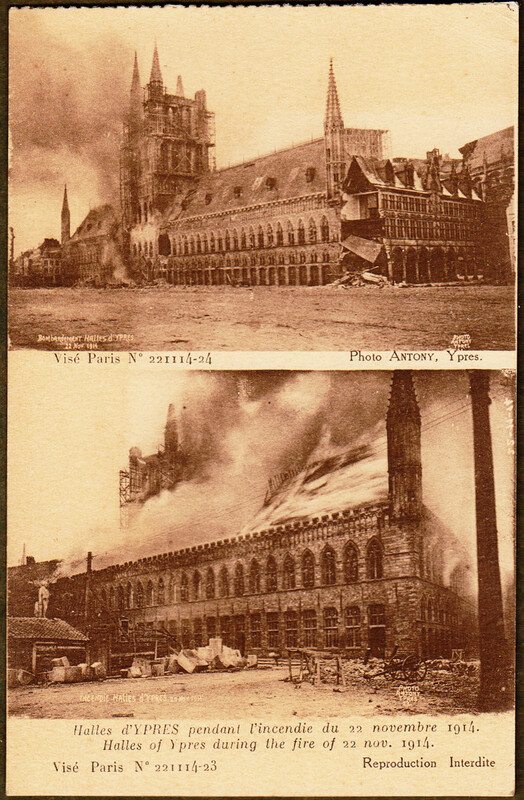 This postcard photograph was most likely taken after the war. It shows the accumulations of barbed wire entanglements and the destruction of soil and vegetation. The Argonne Forest was in the French/American sector, about 120 miles east of Paris. A familiar sight for Canadian troops was the Cloth Hall at Ypres. and to 'spot' artillery, it was only a matter of time before it was reduced to ruins. 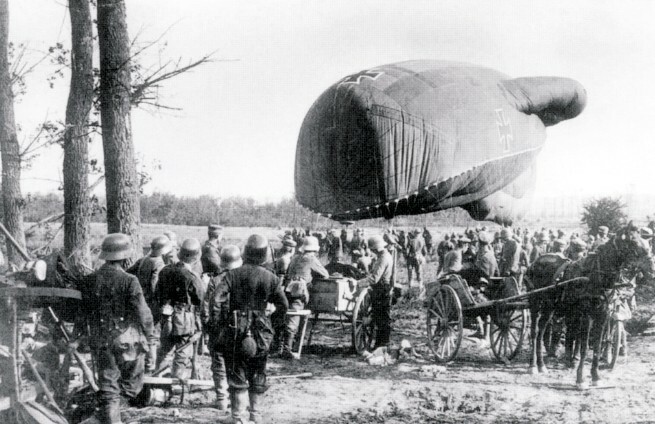 Artillery observation was done from hills, trees, steeples and eventually tethered observation balloons filled with hydrogen above friendly territory. 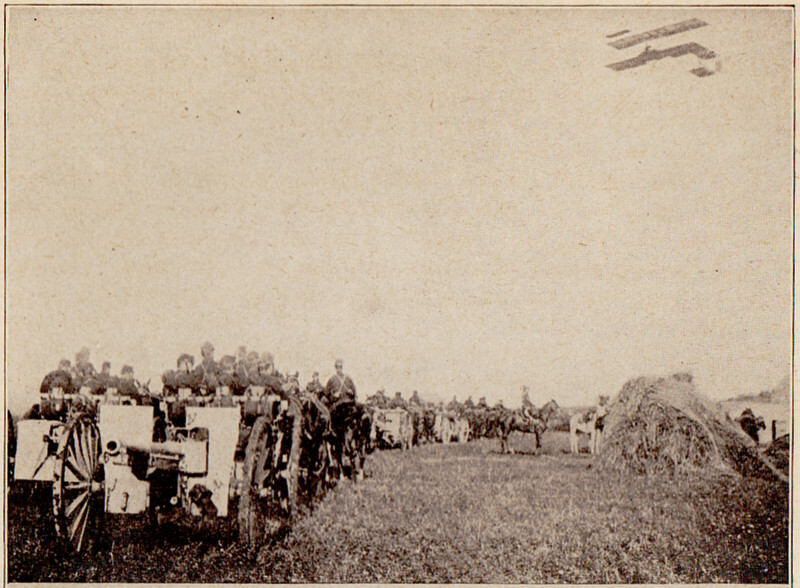 Everyone and his horse is out to watch the launch of a tethered German observation balloon. 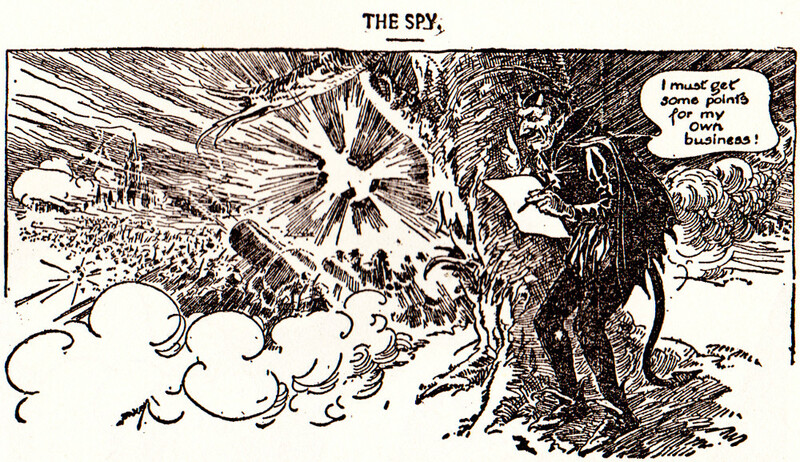 Once aloft, an observer connected via a telephone wire to the ground could see 60 miles under good conditions and correct the aim of artillery. More than just tasteful decoration, the Maltese crosses are designed to help prevent 'friendly fire' attacks from German aircraft. Then, heavy artillery batteries, some organized medical treatment, heavy transportation systems and supply massing areas. ('Bricks and mortar' hospitals were often near the coast.) 'Rest' billets for soldiers taking a duty turn away from the trenches were often still within range of lucky strikes by heavy artillery shells. But often, up to 1/3 of the shells were duds early in the war, and high explosive shells went deep into the mud and did nothing except chew up the land which the infantry had to cross. Penicillin had not yet been invented. This is the effect of about 500,000 shells on about 1/2 square mile. The Americans have joined the war really late in April 1917. The recent German promise of unrestricted U-boat warfare against neutrals was one thing ... but the last straw was being shown secret British decodes of German diplomatic feelers to Mexico about an alliance and an attack on U.S. soil ... if the U.S. were to enter the war. 'Fresh man in the mow !' as we used to rejoice on the farm. Certainly as smart as any British Commander at the beginning of the war, U.S. Commander General Pershing doesn't know what his troops are in for. He still thinks riflemen and mobility will win the day - i.e. 'fighting the last wars' ... in his specific case ... against Geronimo, and most recently 'Pancho' Villa in Mexico (used as a prototype for The Frito Bandito). 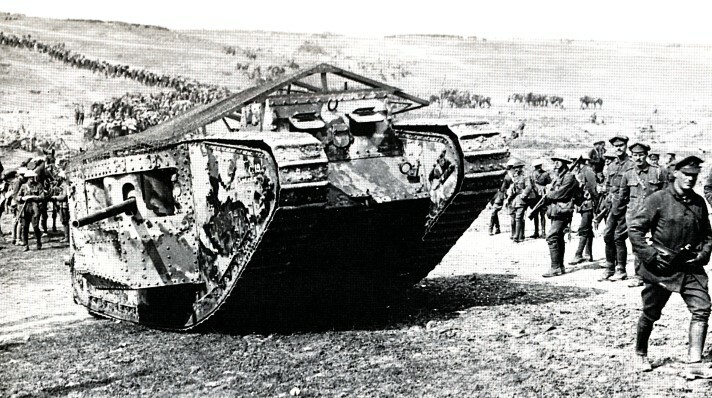 The Americans save shipping space by using French Renault tanks and French equipment and British helmets. They want to fight as an independent army. The US Army in Europe would have reached critical mass only by 1919, so their chief impact is psychological on both sides. In 1915, when this cartoon was published in the US, the worst was yet to come.